When he is all bunched up like this he measures approximately 6 inches (the length of a dollar bill). When he is all stretched out, he comes in at almost 8 inches. 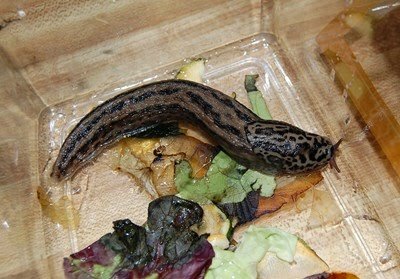 That's some slug!